Why spend a dollar a gallon for bottled water? With this homemade spunding valve you can naturally carbonate your homebrew by capturing the carbon dioxide produced late in fermenation just like many pros do on the commercial side. Flanders red ales are reddish sour beers aged in oak. With a little technique and a lot of time, you can brew the "Burgundy of Belgium" in your homebrewery. 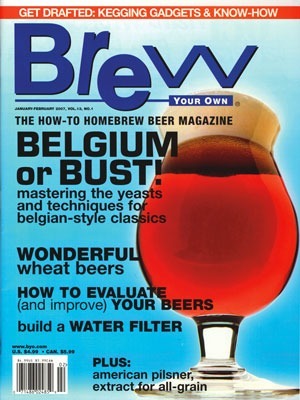 Plus: Four recipes from four homebrewers.